Today I had another run scheduled, so I decided instead of doing the usual 3 mile jaunt that I do that I should try to go a little further. 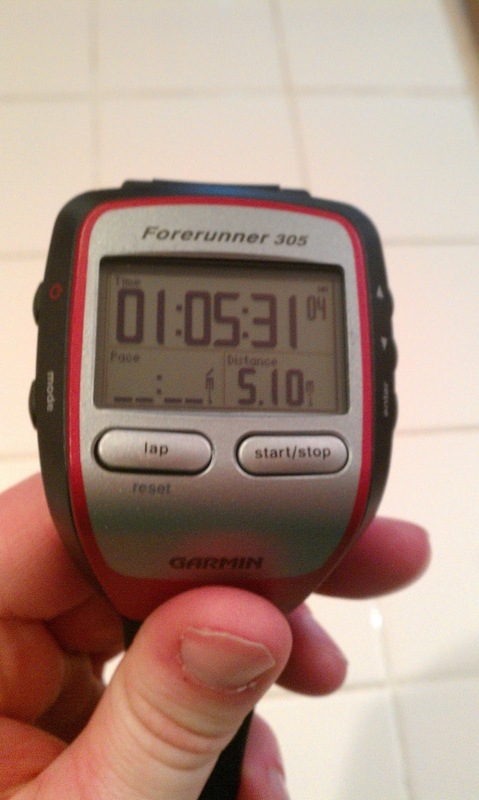 I decided to run from the office to the house, which was going to be 4 miles or more, depending on the route I took. I started out just like normal, except I realized that it was a bad idea to have pounded a ton of water like an hour before running. I reached a local park by the time I had gone a half mile, and since the dialogue in my head was somewhere in the range of "OhmybabyJesus I have to peeeeeee", thought it was best to stop and use the park bathroom. I was pissed to find the nice bathrooms were all locked, but they had a portapotty open. Beggers can't be choosers so I ducked in, and it was actually pretty clean and did the trick. I got back on the road and started going, and something amazing happened. I got through the first mile and said to myself, "That actually wasn't so bad." That has NEVER happened. I also didn't need to take a walk break immediately after hitting the first mile, which is the first time in a long time that's happened. I took a quick walk break at 1.40 miles, and then began running again. And then something even more amazing happened...I didn't stop running. I just kept going, and all the while I was thinking how great my legs felt, and how much more breath control I had than Tuesday! I literally was waiting for the moment my body was going to scream for a walk break, and that moment never came. It started storming, and I just kept on going. I came to the point in my route where I was either going to have to turn and go the 4 mile route, or continue down the longer way. I took the longer way. I hit 4.5 miles and I was still running. I felt thin, pretty, athletic, strong and capable of everything. 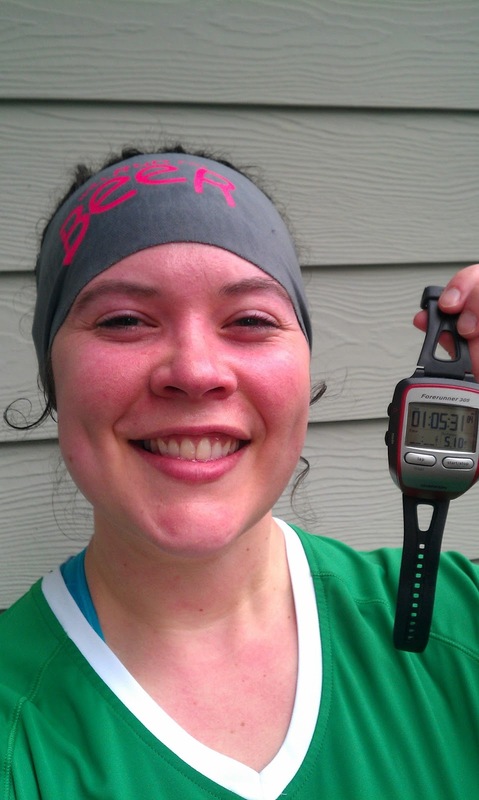 I rarely feel this way about myself in normal life, and have certainly never felt it when I was running. My legs still felt good, though I was getting tired. Even so, I could see my street getting ever closer, and I was STILL running. I have absolutely no idea what was different today. I ate just about the same stuff that I normally do, I used the same amount of points. I drank the same amount of water. All I know is that I desperately needed a day like today to remind me of why I love running and why it's so worth it. It is a mystery why some runs are so much better than others, but I just try to look at them as a gift and remember on the tough runs how great the good ones feel. Yay for you!! I have a 10k in a week and I have not gotten over 4.5 miles yet......kinda nervous! Ah, you will do fine!! And maybe you walk some of it, so what you know? If Jeff Galloway, an Olympian, promotes the run/walk method then it's good enough for me! Which 10k is it? Great job on your run!! It drives me nuts that my runs vary so much and i never know when to expect one of these kind of great runs. i love your head band! !